ISLAMABAD: The National Assembly on Tuesday elected PML-N’s Shahid Khaqan Abbasi as the eighteenth prime minister of Pakistan following the disqualification of Nawaz Sharif by the Supreme Court last week. "I want to thank the supporters and our partners in the coalition who voted for us," said the new prime minister of Pakistan. "I am also grateful to the opposition and Imran Khan, for remembering us in their daily slandering," he added. “Four days ago, the Supreme Court verdict was completely embraced by us but not the public. The prime minister left the PM House after the verdict. There were no rifts in the party following the verdict,” said Abbasi. He added that democracy was not derailed and is now "back on track". 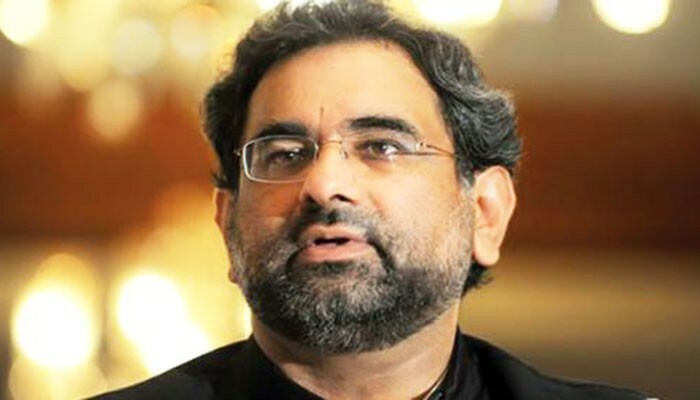 Abbasi praised the leadership and principles of former prime minister Nawaz Sharif and criticised the opposition for accusing Nawaz of corruption. "Nawaz is guilty because he made this country an atomic power and strengthened the economy." "Whether I am in power for 45 days or 45 hours, I will work as the prime minister of the country and will not mere hold the post," added the eighteenth prime minister. Referring to power projects, he said there will be no load-shedding after November and mentioned the development projects started by the PML-N government. "It is my firm belief that Nawaz Sharif will return to seat of premiership," said Abbasi concluding his acceptance speech. PPP's Naveed Qamar said that the process will go on and the business of the house will continue as "individuals come and go". He also thanked the PPP for nominating him. Sheikh Rasheed congratulated Abbasi but criticised and said that it would have been better if the prime minister-elect had spoken on foreign policy. Abbasi has been elected as an interim prime minister and will hold the post till the election of incumbent Punjab Chief Minister Shehbaz Sharif to the National Assembly. The speaker ordered certain members to be removed due to the ruckus created in the house. From the assembly's second biggest party in terms of numbers, Pakistan Peoples Party (PPP), Naveed Qamar was contesting for the slot whereas Pakistan Tehreek-e-Insaf (PTI) fielded Sheikh Rasheed as its nominee. The Muttahida Qaumi Movement-Pakistan (MQM-P), the assembly's fourth largest party, voted for the PML-N candidate. The party had earlier nominated its MNA Kishwer Zehra for the slot but withdrew her nominated following a meeting with PML-N leaders. The opposition intended to 'put up a fight', although the PML-N held a majority in the National Assembly. The opposition parties' meeting on Monday failed to result in agreement over a joint candidate. According to the Constitution and rules of the House, the speaker will announce the process for members to elect a new Leader of the House. For five minutes, bells will be rung in the lobby to let members gather inside the assembly hall. The speaker will announce the name of every member one-by-one and in alphabetical order to receive his/her ballot paper. The members would mark the candidate of their choice with a tick on the ballot paper and put it in the ballot box. If a member of the assembly impresses any other mark on the ballot paper other than the checkmark and/or ticked more than one name, did not impress the mark correctly or left the ballot paper unmarked, his or her vote will be rejected. Upon completion of the voting process, bells will again be rung for two minutes so that members could again gather in the hall to listen to the result. The speaker will announce the result and the successful candidate and those who contested the election would be given a chance to address the House. Due to the vacant seat of Leader of the House, no other business can take place in the House except for the election process, according to assembly rules. According to the Constitution, the process of the prime minister's election would continue until a candidate achieves a clear majority: 172 votes. After the premier's election, the newly-elected Leader of the House will take oath of his office at the Presidency at a ceremony. President Mamnoon Hussain will administer oath to the new prime minister. Sources said, if all goes smoothly, the oath-taking ceremony is expected to take place around 7pm. 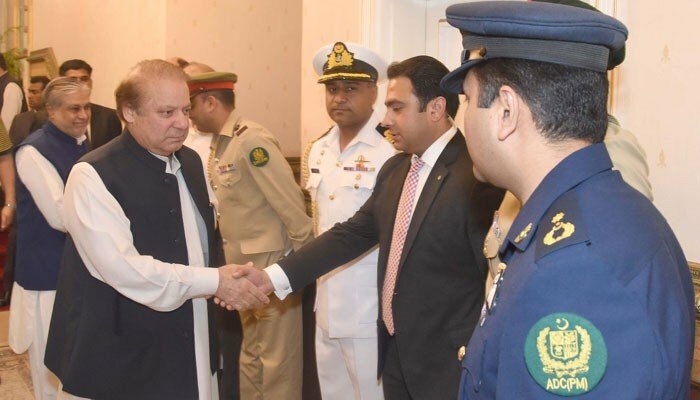 Nawaz Sharif is also expected to be present at the ceremony. 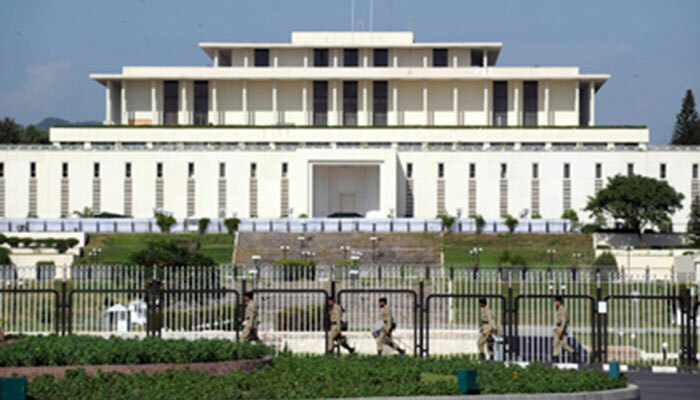 Moreover, foreign ambassadors, senior judges, chief ministers, politicians, members of the armed forces and prominent members from various fields will observe the oath-taking. A day after Nawaz Sharif's disqualification, the parliamentary party meeting of the PML-N decided to make Punjab Chief Minister Shehbaz Sharif — the brother of the ousted premier — to be the party’s candidate for the slot. However, at the meeting, Nawaz announced that former petroleum minister, Abbasi, will be the premier until Shehbaz is elected to a National Assembly seat and subsequently made the prime minister. "If you support anyone after me, I ask you to support Shehbaz Sharif," said Nawaz during the meeting, held at the Punjab House a day after Nawaz's ouster by the apex court. "It will take Shehbaz Sharif 50-55 days to take over as prime minister. He will have to contest [national] elections. For the interim period, I am recommending Shahid Khaqan Abbasi for the position of prime minister." Then prime minister Nawaz Sharif was disqualified from holding public office by the Supreme Court on Friday. Sharif was disqualified under Article 62 (1) (f) of the Constitution over his failure to disclose un-withdrawn receivables constituting assets from a UAE-based company. It implied he was not ‘honest’ and ‘truthful’, as per the country’s Constitution.